Here is the land plat showing the lots for sale at Eagle Ridge Country & Riverview Estates. If you have any questions regarding the beautiful property for sale along the Mississippi River please contact us at 563-568-9076. 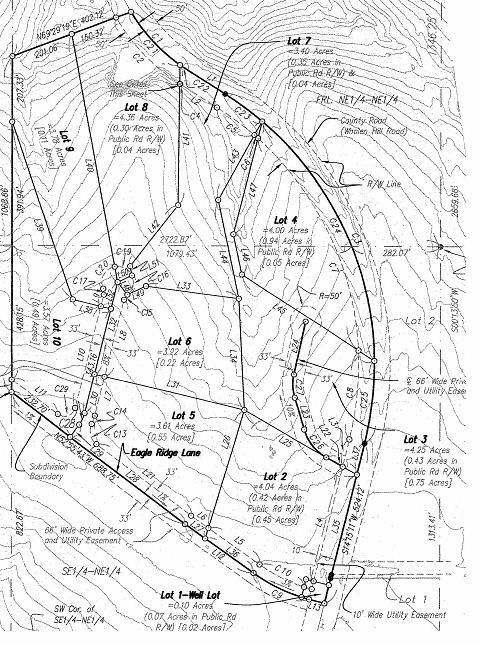 Plat of Eagle Ridge Country & Riverview Estates near the Mississippi River with contour lines. Eagle Ridge Country & Riverview Estates is a rural development near Lansing Iowa with great views of the Mississippi River and in some locations the Lansing Bridge. Click available property for more information about the lots for sale at Eagle Ridge or click places of interest in Lansing Iowa, to find more information about restaurants, stores and other places of interest near Lansing Iowa.